Penetration testing to be sure is an unusual job. This is because it is the job of a penetration tester to break into technologies being leveraged by companies to operate in order to show them where the vulnerable spot lies. The unraveling would then enable companies to fix such problems up. With technology becoming the backbone of every industry and department all around the world, penetration testing market is primed to progress by leaps and bounds. There has been an unprecedented proliferation of such tools, both commercial and open source, in the recent past. While this is good news for companies looking to weed out every vulnerability from their system, on the flipside it can also be challenging to zero in on the exact software, especially due to every tool having several uses and not too many skilled professionals in this domain. Nevertheless, they can be broadly categorized into vulnerability scanning, port scanning, exploitation, post exploitation, and social engineering. Overall the market for penetration testing worldwide is seeing solid competition on account of players keen to tap into the potential of the market through innovative products. They are also seen banking upon mergers and acquisitions and strategic partnerships to work on synergies on various fronts. Currently, North America and Europe are main markets for penetration testing. This is not just because of a large number of entities in the two regions, but also because of the presence of numerous key players there. Constant thrust by the latter to come up with more sophisticated methods will likely open up new growth avenues for the market in the region. Canada and the U.S. are at the forefront of driving the market in North America. Asia Pacific is another promising market owing to the rising uptake of mobile and web-based business applications. The global penetration testing market is anticipated to grow in popularity with the increasing need of complying with standard requirements and improving levels of cyberattacks. There are different types of testing services available in the market, viz. wireless, social engineering, mobile application, web application, and network penetration testing. However, according to experienced researchers, the market could witness the dominance of wireless penetration testing in the near future. Higher demand for wireless penetration testing services could be a result of rising number of wireless networks and connected devices that are highly venerable to threats. Penetration testing services could be deployed in two or more ways, including cloud or on-premise. The global penetration testing market is foreseen to bank on the growing demand for cloud-based services due to their time-efficient and cost-effective features. Organizations that are concerned about cost and demand affordable solutions could increasingly demand cloud-based penetration testing during the completion of the forecast tenure. Web application penetration testing could also gain a whole lot of demand because of rising attacks on critical web applications of organizations. In terms of end-use industry, BFSI is predicted to rank higher in the market. Europe is prognosticated to tread upon the heels of North America in the coming years. In 2016, North America is said to have generated a whole lot of revenue owing to growing focus on innovations achieved on the part of technology and through research and development. Canada and the U.S. are expected to support the growth of the regional market in the near term. The escalating adoption of mobile and web-based business applications, however, could boost the rise of Asia Pacific in the market. In order to expand the scope of their offerings in the industry, players are envisioned to take to mergers and acquisitions as one of the key strategies. The global penetration testing market is expected to soar phenomenally in the years to come due to the rising need to protect enterprise data and applications. Penetration testing entails exploiting the vulnerabilities to find out if unauthorized access or other malicious activity can be carried out. Penetration testing primarily includes application security testing and network penetration testing along with controls and processes pertaining to the networks and applications. Apart from the pressing need of business entities to bulwark their IT systems from malicious attacks or unlawful access, there are the other factors too promoting the global market for penetration testing. Prominent among those is the rapid unveiling of better products by astute players. Besides, rise of BYOD culture and proliferating applications of IoT is also proving beneficial for the market. However, there are a few hiccups threatening to derail the stellar growth of the market. One of them is the acute shortage of capable cyber security personnel who can analyze properly the exact issue and respond accordingly. Apart from that, market players are yet to tap into the SMEs who have limited budgets and hence can’t earmark large amounts for sophisticated security processes. Additionally, limited knowledge about the various available cyber security solutions, namely network testing, penetration testing, and firewalls is also a challenge facing the market. Numerous enterprises worldwide still use mobile and web applications that have vulnerabilities which in case exploited can cause immense financial losses to the company. This vast untapped opportunity means the market is primed to grow at double digits in the next couple of years. The wireless penetration testing, intended to secure wireless infrastructures and devices connected via it, will likely spell maximum growth scope for the market. The government and defense sectors are expected to generate most of the demand in the market since they need to protect their critical data and applications from every conceivable advanced threats. 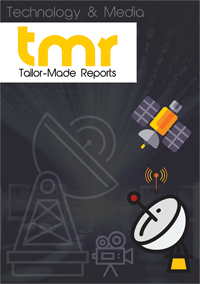 IT and telecom, retail, and BFSI are also expected to drive up demand in the near future. Geographically, North America is a key market, powered primarily by the U.S. which is home to some of the most penetration testing companies. Surging data breaches and an increasing uptake of cloud computing solutions and services is also serving to stoke the market in the region. The global market for penetration testing is witnessing healthy competition on account of astute players emphasizing on product development and forging strategic partnerships with other players. Some of the key players in the market are Cisco Systems, Inc., Acunetix, Cigital, Inc., Checkmarx, Hewlett Packard Enterprise (HPE), Qualys, Inc., IBM, Synopsys, Inc., and Portswigger Ltd.